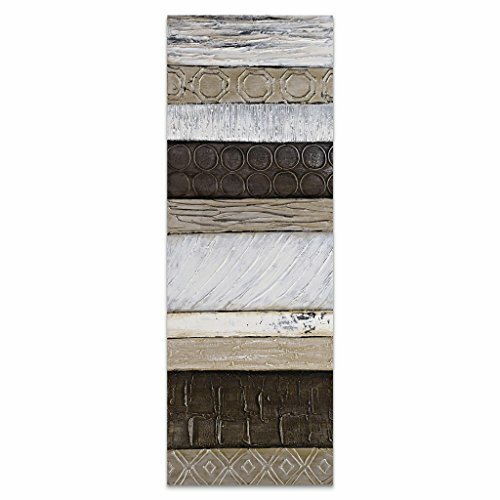 This interesting Martin Edwards piece again features vertical planks of different colors and textures. Looking possibly like a close-up view of old books on a shelf, this piece can enhance a wood paneled sitting room or library. With colors ranging from dark browns and tans to light grays, this bold neutral work can blend in with a variety of decors. Edwards painting techniques combining subtle variations in color and texture creates a grand sense of movement and moods.